Have tattoos in the workplace ever been an issue for you? You're not alone. This interview offers perspective about this issue, both from the employer and the employee. Talar Herculian, partner in the Irvine, California office of Fisher & Phillips LLP, one of the nation's oldest and largest employment law firms, answer's LoveToKnow's questions in this interview. 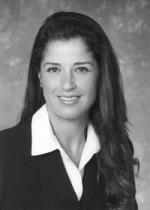 Talar is an employment law expert who specializes in appearance in the workplace issues. She covers such topics as piercings and tattoos in the workplace and dress codes. She also provides council to business owners/employers on the legal rights of employees. Talar, do you think tattoos are becoming more acceptable in the workplace? Yes, in some companies. With a competitive job market, companies are recognizing the pressure to be more flexible regarding employee appearance. However, much of it has to do with the industry (e.g., customer service/sales vs. technical) and geographic location. There are still some customer service industries, such as family-style restaurants, that are concerned that servers with tattoos running down their arms may startle children. Rural areas tend to be less tolerant of body art than urban work areas. 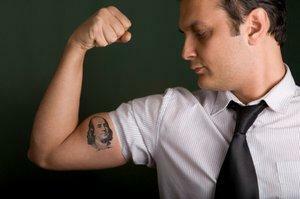 What are some common issues you see coming up between employers and workers regarding tattoos in the workplace? A common issue is employers who want to prohibit tattoos in customer service situations. Most employers don't realize that they can regulate their employees' appearance, including the visibility of body art. Employers regularly ask whether they can lawfully ask an employee to cover up their body art to avoid offending customers. As discussed below, the answer is "yes". Can employers choose which designs they are willing to accept and which ones they deem offensive? Yes, but they should be cautious. While there is no law that specifically addresses appearance in the workplace, appearance can implicate other protected categories such as gender, race or religion. If an employer/business does not apply its policy regarding tattoos consistently, it may be challenged as discriminatory based on a protected category such as gender or religion. As tattooing reaches an all-time high in popularity, do you see more employers beginning to cover this topic in company handbooks and dress codes? Yes. Many companies have begun addressing this topic for the first time because it was never an issue before. Now that we have a more diverse work force and a younger generation that frequently expresses themselves through body art, employers are forced to address tattoos in their appearance policy to retain control of their company image. Can employees be forced to cover their body art during their shift? Yes. There is no right to expose your tattoo at work. Again, however, employers should be careful to apply their policy consistently to avoid the appearance of discrimination based on a protected category such as gender, race or religion. For example, if you require only men to keep their tattoos covered but allow women to keep theirs revealed because you think the women's tattoos are not as offensive, your practice may be challenged as gender discrimination. What recourse does a person have if they believe their body art has either kept them from being hired or from advancing in their job? Makeup and long sleeves can be used to cover body art. I had a neighbor in San Francisco who was covered in ink. I didn't recognize him when I saw him in his business suit because none of his artwork was visible. He used makeup to cover the tattoos on his neck and hands. It was remarkable. What advice do you have for tat enthusiasts about keeping their body art and their careers compatible? Exercise common sense. If you are entering a career field that recognizes and even appreciates artistic expression, you probably don't need to worry about your body art. However, if you are applying for a job at a law office, for example, it would be prudent to keep your artistic side to yourself. Talar has also presented a number of seminars and management training sessions to clients on a variety of related topics, including hiring and firing practices as they relate to tattoos at work. LTK readers seeking more information can visit Fischer & Phillips LLP.